Need heavy duty VCT floors that will stand up to the heaviest foot traffic? Mannington's Solidpoint Sour Apple will provide tough, durable commercial VCT flooring for your business that will easily last for years and years. 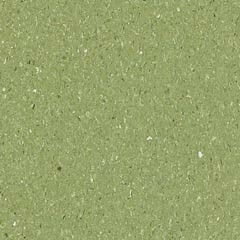 This flooring is green with flecks of darker and lighter color variations. Additionally, it features a 3.2 mm thickness and a 126-mil wearlayer that offers low-maintenance solutions to your commercial flooring needs. This budget friendly option is easy to install - just glue and go! Spills are no match for this quality VCT - clean-up is a breeze. Buy with confidence from iDeal Floors!